When Rose Goldup Atcherley was born in 1871 she was given her mother’s maiden surname as a ‘middle name’. 25 years later in 1896 Rose married a man who had received his second forename in the same manner: Harry O’Donoghue Vosper. So we can, at least in part, understand why Rose and Harry’s son was called Roy Atcherley Vosper [ ]. 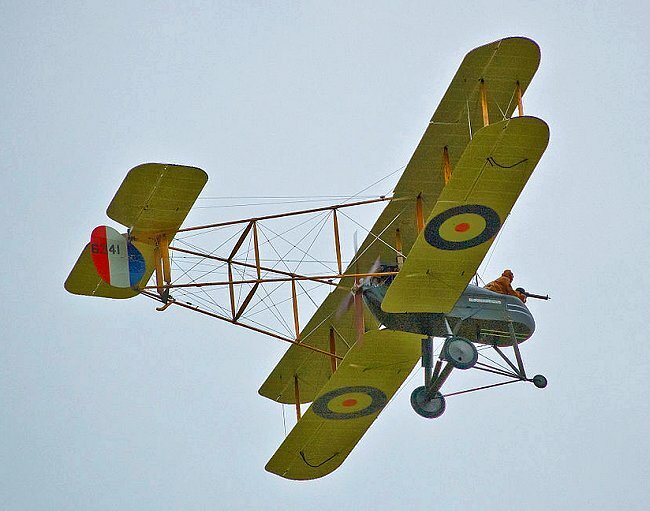 On 1 April 1918 the Royal Air Force was formed from the RFC and the Royal Naval Air Service, creating the world’s first independent – and at that time its largest – air force. Roy Atcherley Vosper became a part of this new fighting force, as a full Lieutenant. It was however as a 2nd Lieutenant that Roy was, on the very day the RAF was established, recorded as being involved in an accident in which his fellow officer Lt H C Hyde was injured. His plane, an FE2b, had undershot and struck a ridge on landing after taking part in a bombing raid near Douai. Lieutenant Roy Atcherley Vosper’s FE2B was one of nearly 140 British aircraft which the Germans claimed as having fallen into their hands on the Western Front during the month of July 1918. The other machines were 14 Sopwith single-seaters, 1 Sopwith two-seater, 40 Sopwith Camels (single-seaters), 9 Sopwith Dolphins (single-seaters), 1 Bristol, 2 Handley-Pages, 1 “large fighter” (Groszkampfflugzeug), 27 S.E.5 single-seaters, 20 D.H.4. two-seaters, 1 D.H.5 single-seater, 5 D.H. 9 two-seaters, 14 B.F. two-seaters and 1 R.E. This list shows something of the variety of aeroplanes the RAF was using as part of the war effort, and also gives an indication of their vulnerability. 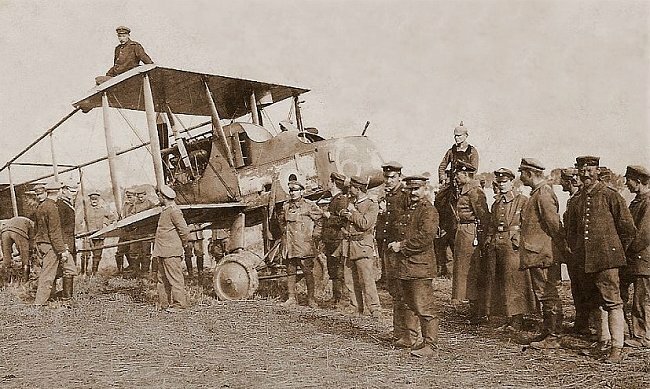 The photo below shows an FE2B after its capture by German forces. Birth of Rose Goldup Atcherley registered at Islington, September quarter 1871; volume 1b, page 337. Marriage of Harry O’Donoghue Vosper and Rose Goldup Atcherley registered at Brighton, September quarter 1896; volume 2b, page 343. Flight & The Aircraft Engineer, No. 503, 15 Aug 1918, page 910. Copy viewed atFlight Global Archive.